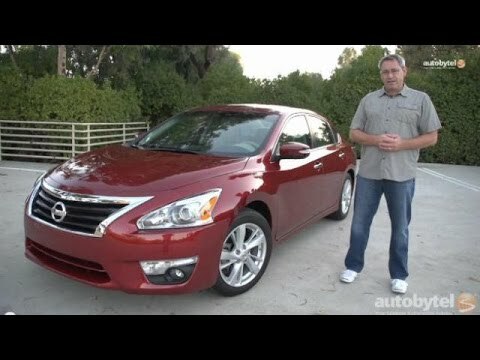 The 2015 Nissan Altima gets a little more fuel efficient and a little more high-tech, all to keep up in the fast-moving and hyper-competitive midsize-sedan segment. The powerful V6 gets a slight bump in fuel economy, and Nissan makes its NissanConnect app suite standard on SV and SL models, along with blind-spot warning, and other high-tech safety systems. Runs very smoothly and it is a perfect size. I own a Nissan Altima and it is honestly the best car I have had yet. I don't even think about buying a new one anytime soon. It is a perfect size, very smooth and well regulated. I have had it for about two years now and it still looks brand new. It looks as if I just took it out yesterday. The color is very nice and bright. My car is red, so in my opinion I believe it is very appealing and very beautiful. The seats are comfortable, the radio(service) is great, and the trunk is very wide. The only problem I have been dealing with are the breaks. Every time I want to stop or slow down it makes this squeaky noise and I dislike. Also, one of the wheels keeps constantly running out of air. Two things, whenever you feel like you are car has a problem solve it. Fix your car because the smallest things can be the most important. I know breaks and wheels are very important, but the problem can be fixed. It all has to depend on the way you treat your car too. I have treated my car quite fairly, but at some point my breaks were just slowly squeaking and left back tire starting giving away it is air. The tires have always worked great, but I live in a ranch where the road has many bumps and a bumpy road causes tires to mess up. One wheel can balanced while the other is on a bumpy part of the road. If it wasn't for the places I lived in my wheels would be perfectly fine. I highly recommend to you guys this valuable car. The many reasons why I recommend a Nissan. I own a Nissan Altima 2015, it so far been my favorite car there is so many amazing things that I love about this car such as, it has adjustable seats, a keyless remote with a push start so you will not need to put a key in the ignition, automatic lights that can turn on and off for you depending on the weather and the time of day. You also have so many different steering wheel controls, so you can make sure there is no warning signs on your car. Such as tire pressure, oil leak pretty much anything maintenance related, which is very nice to know if there is a problem with your car, because let's be real waiting on problems gets very expensive so it is nice to know right when the problem begins. Another thing the steering wheel can do is you can control your radio by changing stations or even adjusting the volume to your liking. I also like that I can press a button on the wheel and connect it with my phone so I can still hear and reply to text messages when I get them I can also make calls all without actually looking at my phone. Do not forget about the option of getting a back up camera which I would definitely recommend. This little camera sees things that I possibly could not even if I do not like it will been at you that you are too close to something so you know to move away. This car in my opinion has been very safe and reliable no only this but I feel the driving is smoother compared to other cars. 2015 Nissan Altima s: great for college student and families. I love mostly everything about the car. It can easily increase its speed without having lag. I appreciate the Bluetooth accessory it has because it allows my phone to automatically connect and play music without having to mess around with it. The brakes work very smoothly, and work instantly if needed unlike other cars that sometimes you have to press down ahead of time or harder. The only problems I have with it is I notice that sometimes the signal works weird. For example, if it is accelerating at a high rate and I apply the signal to the right, it will somehow be sensitive and show the left signal once I am trying to turn it back off. Another downside I have with the car is that the lights work a bit weird in the daytime. If it is a bit foggy and cloudy or rainy, if it is not dark enough it will not turn on the headlights when it is set to auto. I understand it is probably because it is not dark enough outside, but when I try to manually set the lights it only turns on the low beams. Other than that, I think the performance of the car is great as well as the reliability. I can always drive the car and know there will be no problems in doing so. The comfort of the car is good, and I can appreciate its small features as well.